Crunchy, toasted peanuts have a buttery taste that keeps you coming back for more. Pull-top can with resealable lid. 9 ounces. May Contain: Tree nuts, Soy. 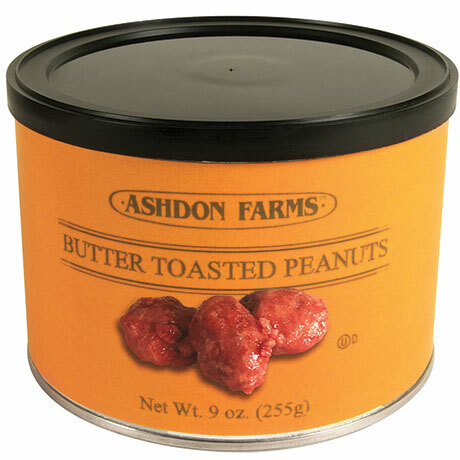 Roasted peanuts (peanuts, corn oil), sugar, salted butter (pasteurized cream, salt), salt.